DreamPod 31: Where bullet heaven quickly becomes bullet hell! 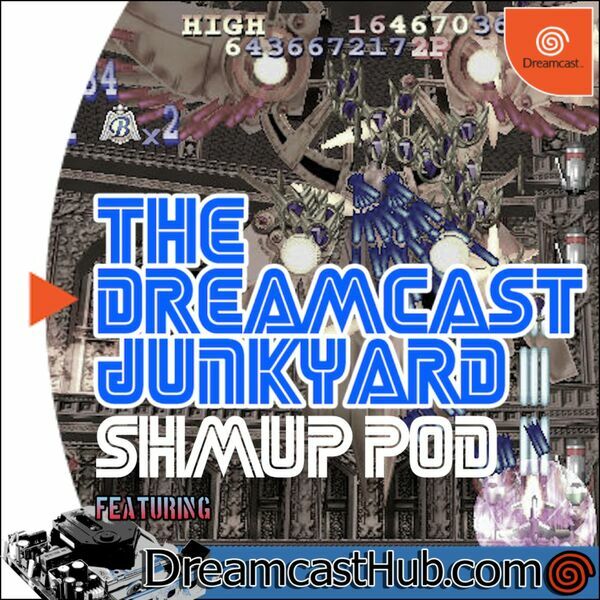 Yes, episode 31 is here and your regular hosts Tom, Ross, Mike, Caleb and Aaron are joined by a special guest host in the form of DreamcastHub.com’s Stephen Robinson to discuss a genre that is synonymous with the Dreamcast: shmups. Perhaps the most divisive of all the genres represented by the Dreamcast’s rich and varied library, your hosts take it upon themselves to discuss the very best, very worst and the most obscure games that make up the console’s glittering selection. Ross tries and fails to have a non-Dreamcast game included in the discussion, Aaron reveals some interesting Mars Matrix/Sonic Heroes trivia, Stephen waxes lyrical about The Lost Golem, Tom talks about the Atari Jaguar (again), Mike offends the entire PlayStation community by slagging off the Dual Shock 4, and Caleb treats us to his very best voiceover work. DreamPod episode 31 is here, and we’re ready to take you to a whole new dimension of podcasting awesomeness!